This is the last of the day’s fun inspiration board-style real weddings from the immensely talented Anne Ruthmann, a wedding and lifestyle photographer based in Massachusetts. With a really pretty purple and blue color palette, I think my favorite part about this event are the bright purple port a potties. Yup. Color-coordinated bathroom facilities. Now that is my kind of event! 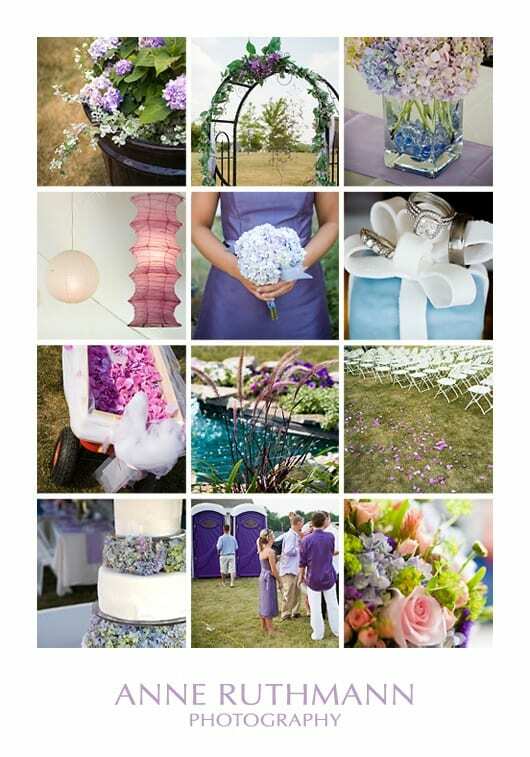 Ok, Anne, I vote for more awesome real weddings featured a la inspiration board. Can I put in a request for many more of these in the future?